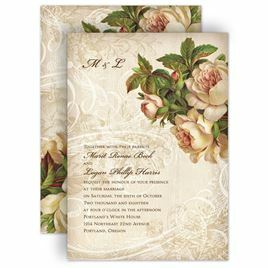 Rose wedding invitations are some of the most romantic wedding invitations we offer. The rose has been a symbol of love for centuries and continues to be a popular choice among today's couples. Our collection of rose wedding invitations features a variety of beautiful design elements, such as shimmering foils, detailed embossing and elegant illustrations. We even offer rose designs in our Glitter, Real Wood and Letterpress collections. Still deciding what your wedding flowers are going to be? 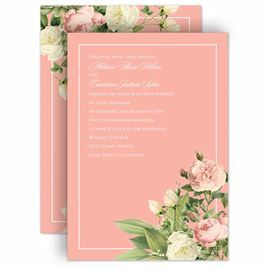 Shop our entire collection of floral wedding invitations.